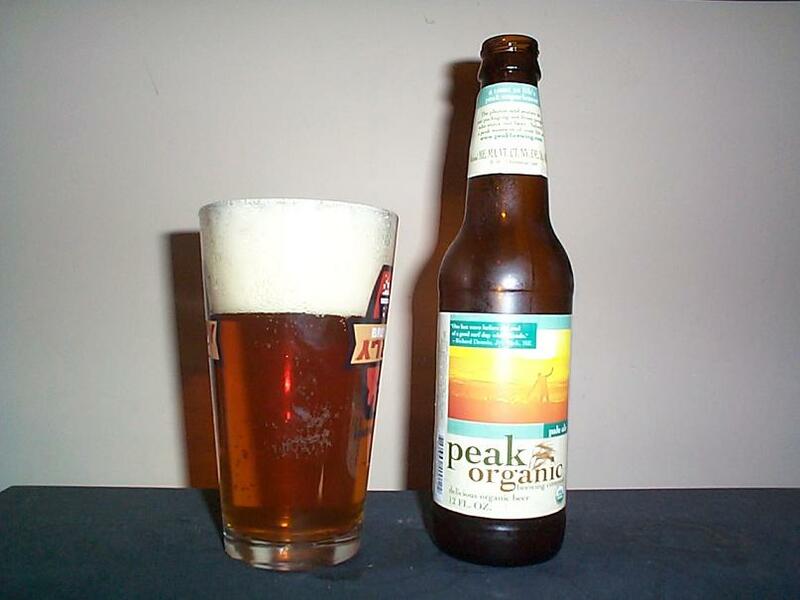 I have always been curious about the many organic beers popping up as of late and Peak Organic out of Portland, Maine seems to be a prime example of the trend. I have heard some positive things about their beers, so when filling up a mixed six pack I thought I would try the two varieties the store had on hand. This pale ale pours a nice copper color with some red hues and a nice full head. The plentiful head fades rather rapidly. Smells of roasted and perhaps carmelized malts, more like an amber than a pale ale, very pungent. The flavor encompasses a lot of roasted malt and some bitterness in the aftertaste which makes the 5.05% ABV barely notable. Mouthfeel is rather light. As I drink more of this beer I continue to be surprised by its flavor, some more pale malts are detectable but the roasted malt flavor is most prevalent. Overall a very different beer than I was expecting based on its pale ale label but it is also not a bad beer. More of a roasted malty beer but I suppose it is rather pale. I think this is definitely a good beer but I’m not sure how often I would purchase it because of all of the other grand beers out there. If your into the organic concept and want to support a good cause, or just like a roasted malty pale (or amber) beer this one might catch your fancy. I am very curious to see what their amber tastes like now. Give it a shot and ride your bike.